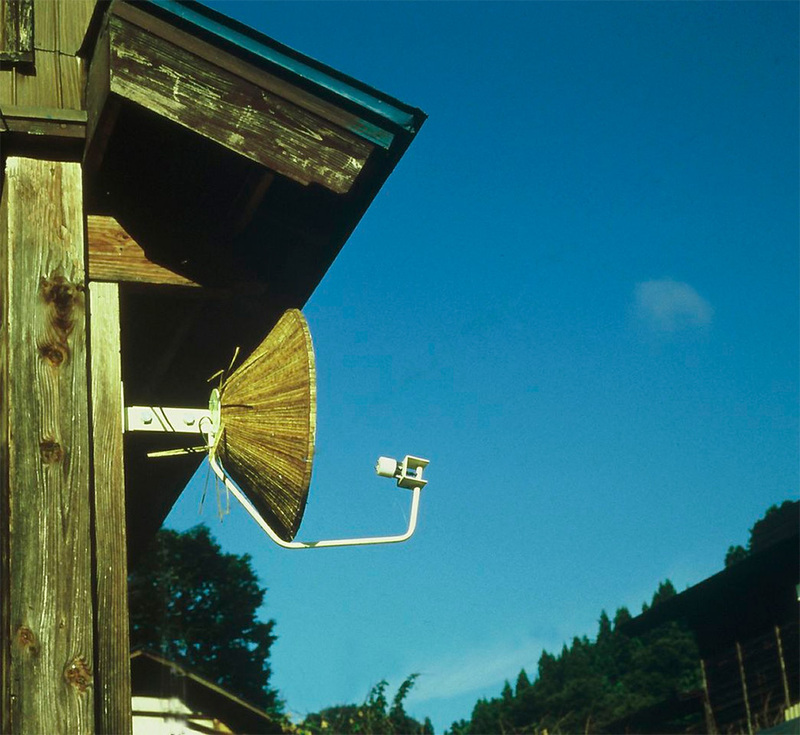 To combine something local with something global. 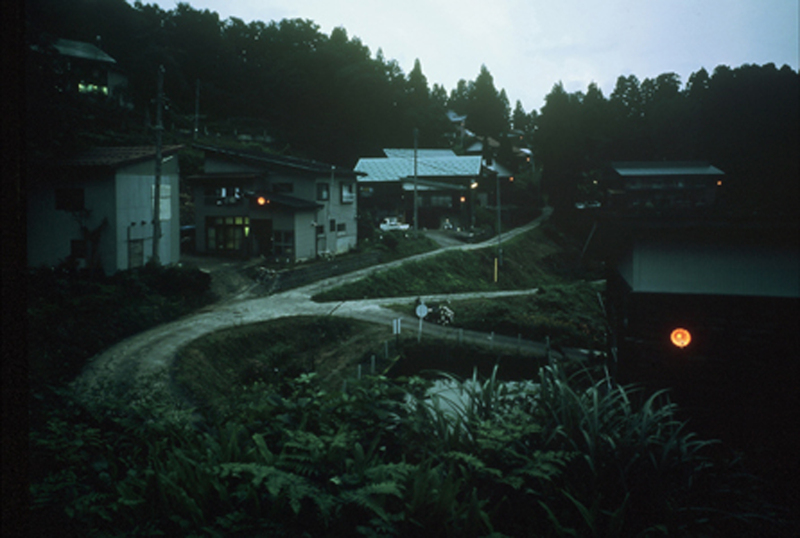 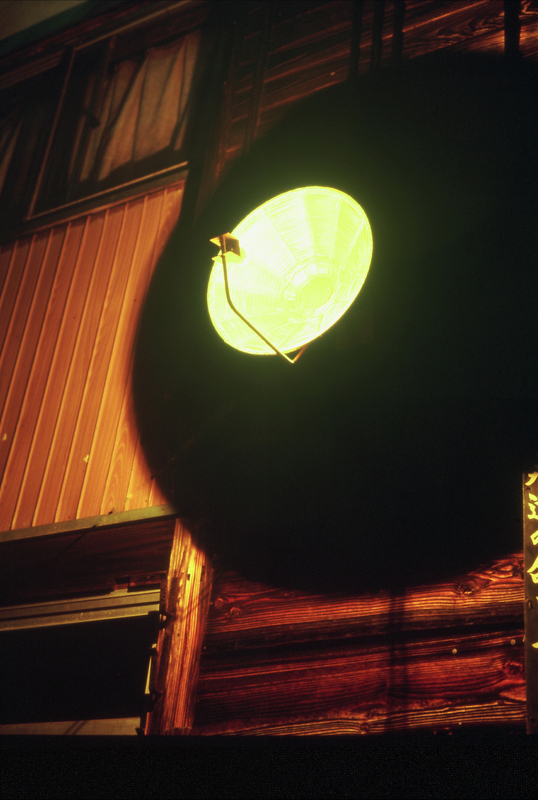 A project in Yomogihira community for Echigo Tsumari Art Triennial, Japan 2003. 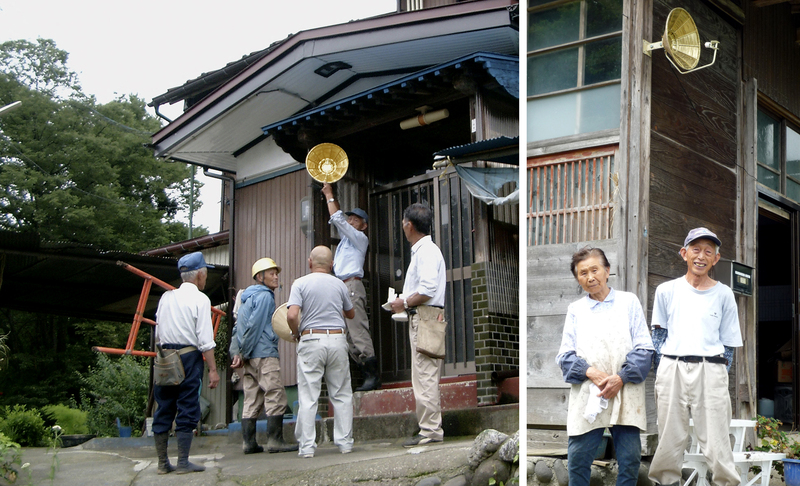 Materials: local traditional straw hats gilded and turned to satellite antennas.